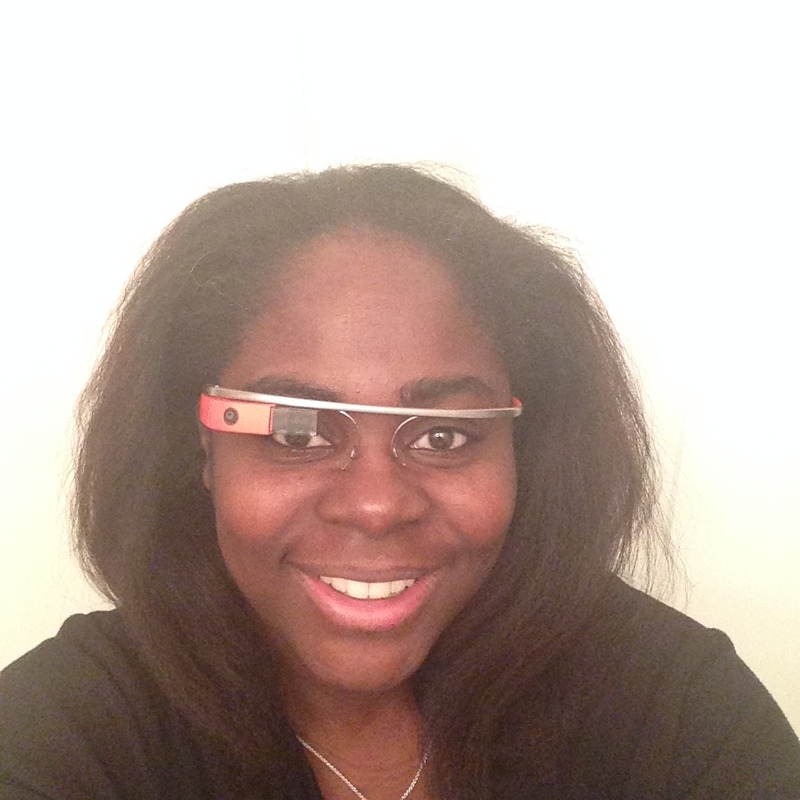 My Adventures with Google Glass – Quincy K Brown, Ph. D.
I’m almost ashamed to admit that I’ve had my Glass for well over a month. I was really excited when I first got them. Then the holidays came and I put them down. Perhaps if they had prescription lenses I’d be more apt to wear them, although I don’t wear my regular glasses as often as I should. Anyway, here’s pic of me wearing my orange glass – glasses? orange google glasses? On one hand development is kind of easy but kind of complex. I read here http://www.imaging-resource.com/news/2013/12/31/google-glass-great-terrible-and-here-to-stay that glass seems to be an answer in need of a problem. I think that about sums up my opinion. Today was my first day out with Glass. No driving while Glassing though. I wore it around campus and let folks try it out. Very neat. I also figured out how to get native apps installed on it. Well, the installation wasn’t the difficult part, the running of apps was the difficult thing to figure out. At one point I had to reset it to factory settings. But, 10 hrs later (literally), I have it working!!!! My first day of classes for the semester. I brought the Glass to both of my classes. I wish I could record the students reactions to a) there being a Glass in real life and b) that I would offer & insist that they try them. It was kind of awesome. Their reactions were incredible. Some loved it and others didn’t. But all were excited to try them on.